Candid commentsWhat do you think of Jeju’s new slogan, ‘Only Jeju’? It’s featured on promotional tourist billboards and banners all around town, the tourism department’s latest attempt at branding Jeju as a premier vacation destination, the ONLY place to come for a getaway or honeymoon. But how is it working? The Jeju Weekly recently asked a selection of native English speakers living and working in Jeju what they thought of the tourism slogan. Here are their candid responses. Karissa Bryant, EPIK teacher, from Seattle, U.S.A.
"Actually I haven't seen it yet but I think it’s a bit general and doesn't make much of an impact. I’m starting to think Jeju would be better without a slogan. Slogans can be a bit cliched and cheesy and Jeju doesn’t need it – it’s a beautiful island already! " Nick Stonehouse, Foreign Language Institute teacher, from Burmingham, England. “I've lived in Jeju for more than a year and this place continues to amaze me with its breath taking beauty. 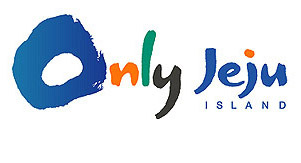 I love the logo ‘Only Jeju.’ I think it fits and it's catchy because Jeju is a perfect spot to go to for an amazing vacation. "’Only Jeju’ sounds like it's the only place to be and the only place one should consider for vacation. I love it! Karri-Marie Baskin, hagwon teacher, from Georgia, U.S.A. The new tourism slogan seems to have an appeal to those already living on Jeju. It remains to be seen what tourists will think of it. They might be too busy taking in Jeju’s beauty to even notice it.